This chapter summarises the evidence for the major risk factors that act as predictors for osteoporosis. Many other factors have been proposed as conveying risk of osteoporosis, but there is no consistent evidence for any risk factors other than those discussed below. Not all fractures are associated with osteoporosis. Clinical risk factors related to physical function and falls are not a risk factor for osteoporosis per se , but are powerful predictors of fracture risk. This guideline, however, does not address the important issue of falls and their prevention. SIGN 56 on hip fracture briefly documents identifiable risk factors for falls,7 and NHS Health Scotland has conducted qualitative research into lay and professional attitudes to falling and how they can influence fall prevention programmes.30 A much fuller review of this topic can be found in the guidelines developed by the American and British Geriatrics Societies. Cartilage injuries are frequently recognized as a source of significant morbidity and pain in patients with previous knee injuries. The majority of patients who undergo routine knee arthroscopy have evidence of a chondral defect. These injuries represent a continuum of pathology from small, asymptomatic lesions to large, disabling defects affecting a major portion of one or more compartments within the knee joint. In comparison to patients with osteoarthritis, individuals with isolated chondral surface damage are often younger, significantly more active, and usually less willing to accept limitations in activities that require higher impact. At the present time, a variety of surgical procedures exist, each with their unique indications. This heterogeneity of treatment options frequently leads to uncertainty regarding which techniques, if any, are most appropriate for patients. The purpose of this review is to describe the workup and discuss the management techniques for cartilage injuries within the adult knee. into the site of their sports injuries. Seattle Mariners pitcher Cliff Lee used it for an abdominal strain. 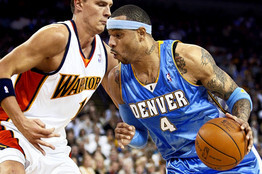 Denver Nuggets power forward Kenyon Martin used it on a strained left knee. 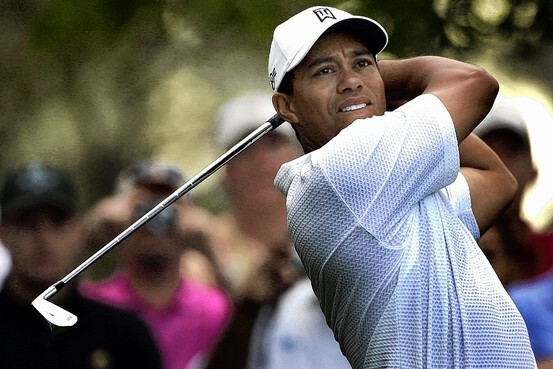 Last year, Tiger Woods had injections of it in his left knee before four majors and Pittsburgh Steelers Troy Polamalu and Hines Ward used it to treat a strained calf and a sprained knee ligament before the team's Super Bowl win. The treatment, known as platelet-rich plasma, or PRP, is one of a growing number of therapies that enhance the body's ability to heal itself. A physician extracts about one to two ounces of blood from the patient's vein and spins it in a centrifuge to separate out the platelets, the part of the blood that secretes growth factors to promote clotting and healing. The doctor injects that platelet-rich plasma back into the patient at the site of injury, where it spurs the repair of injured tissue. Most patients experience relief within several weeks. SAN DIEGO — Microfracture is a viable option for the treatment of articular cartilage defects of the knee in patients aged 18 years old and younger, according to a study presented here at the American Orthopaedic Society for Sports Medicine 2011 Specialty Day. J. Richard Steadman, MD, noted that outcome measures following microfracture have yet to be widely studied in the younger population, but there are some similarities among the performance of the procedure in different age groups. “Just as in adults, the rehabilitation program is probably equal to or greater than the importance of the surgical procedure, so you have to follow the textbook when you reach the rehabilitation stage,” he said during his presentation. Damaged knee joints might one day be repaired with cartilage grown from stem cells in a laboratory, based on research by Professor Kyriacos Athanasiou, chair of the UC Davis Department of Biomedical Engineering and his colleagues. Using adult stem cells from bone marrow and skin as well as human embryonic stem cells, Athanasiou and his group have already grown cartilage tissue in the lab. Now they are experimenting with various chemical and mechanical stimuli to improve its properties. Cartilage is one of the very rare tissues that lacks the ability to heal itself. When damaged by injury or osteoarthritis, the effects can be long-lasting and devastating. "If I cut a tiny line on articular cartilage (the cartilage that covers the surfaces of bones at joints), it will never be erased," Athanasiou said. "It's like writing on the moon. If I go back to look at it a year later, it will look exactly the same." "This will be live, biological cartilage that will not only fill defects, but will potentially be able to resurface the entire surface of joints that have been destroyed by osteoarthritis," Athanasiou said. Currently, joint replacements using metal and plastic prosthetics are the only recourse for the one in five adults who will suffer major joint damage from osteoarthritis.